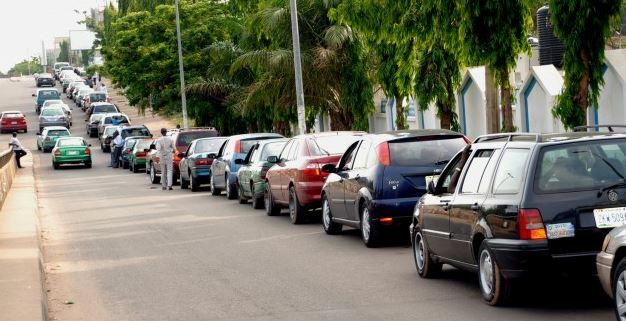 The Department of Petroleum Resources (DPR) on Tuesday fined 20 marketers N2.5 billion for diverting over nine million litres of petrol. The Director of DPR, Mr Mordecai Ladan, said this on the sidelines of a meeting of zonal controllers from 28 states and all heads of division in Abuja. Presenting the position of the meeting to newsmen, the DPR Head of Public Affairs Unit, Mr Saidu Bulama, explained that the marketers evaded detection because the products were intervention products meant for the market between Dec. 9, 2017 and Feb 3. According to him, the intervention products were released to alleviate the acute scarcity currently being experienced around the country. “The DPR has uncovered massive diversion of products. These were as a result of Special Intelligence Unit that we just created to intensify surveillance. “These operatives go about to give us report; in fact they work day and night. We received report that largely some of the diverted products do not appear on the manifest. “About 162 trucks, slightly above nine million litres, have been discovered to be diverted within the month of January and February. “This gives DPR a lot of concerns and that was why DPR gathered all the controllers across the country to make sure they further strategised and given clear cut directives as to how they should go about uncovering these sharp practices. “The products so far diverted were from Kano NNPC depot where one marketer diverted 115 trucks within a month and you could see that it was the peak of the crisis. “One marketer through Kano depot was consigned 115 trucks, specifically meant for intervention and those trucks never got to any station because the station he claimed to be taking the truck was a non-existing station. “Our intelligence unit visited there and discovered that the land was not even cleared let alone a filling station existing there,’’ Bulama said. He reiterated that the petroleum products were not in the manifest hence, there was no way DPR would have tracked such products. He said all marketers found culpable were fined N275 per litre instead of N145 to the Treasury Single Account. He said for instance, the man who allegedly diverted the 115 trucks has been fined N1.2bn and must pay because he could not account for the product. “There are smaller marketers that have since commenced payment of their own. “We have realised over N12 million from marketers who have come forward to accept they have diverted and are willing to pay the fine. “Some have paid up to 50 per cent while some are still pleading but until they finished payment, DPR will not lift the fine,” he said. He said DPR was not aware of the intervention products because “during this period when NNPC gives its intervention products, DPR is not involved. “Intervention products are products that are given to marketers to take to certain locations to beef up supply. “We were surprised that these products were taken to difficult locations where they think DPR cannot locate,’’ he said. Reports says aside the sanctioned marketer, some others fined include Total for diverting 259,986 litres to a non-existent station in Damaturu. Other litres allegedly diverted included from Nushe Nigeria Ltd, 135,000; AY Goro, 50,000; OVH Energy, 13,500; NNPC Retail Samao Ventures, 40,000; Toniste, 99,000; Northbridge, 45,000; Sarco Petroleum, 40,000 and Eco Integrated Oil & Gas, 40,000.